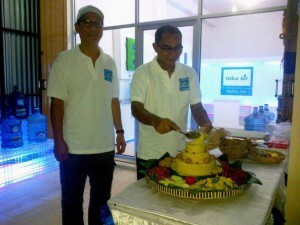 On May 20th 2013 we opening of our first franchised ‘flagship’ watershop in Denpasar, Bali. The ‘Toko Air’ as it is called officially is run in close cooperation with a local water entrepreneur Mister Ketut taking care of the entire operations. 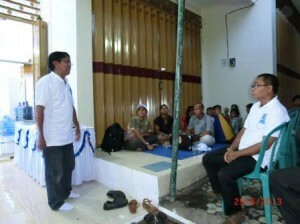 The opening was celebrated in a typical Balinese manner. After prays the invitees were offered sweets, drinks (our water) and received information on how the Toko Air is able to guarantee the quality of the drinking water produced. The pictures hereafter give an inpression of the festivities. If you are interested to understand how we manage to set-up this Toko Air’s for the BoP without using western donor money, let us now.